John Wooden was pronounced deceased yesterday after entering the Los Angeles area hospital with an illness that was gravely taking over his body. He fought through the illness the last few years of his life living a tremendous 99 years being a mastermind of basketball for the UCLA Bruins he was also well known as “The Wizard of Westwood.” He won 10 NCAA Titles and also is the architect behind the 88 game winning streak that the UCONN Women’s Basketball team is now chasing. He will always be apart of history and no matter where you play basketball or watch a basketball game being played his aura will always be apart of the game. The Triangle offense is an offense that Phil Jackson uses but this was one of many tactics John Wooden used to nail a game down. 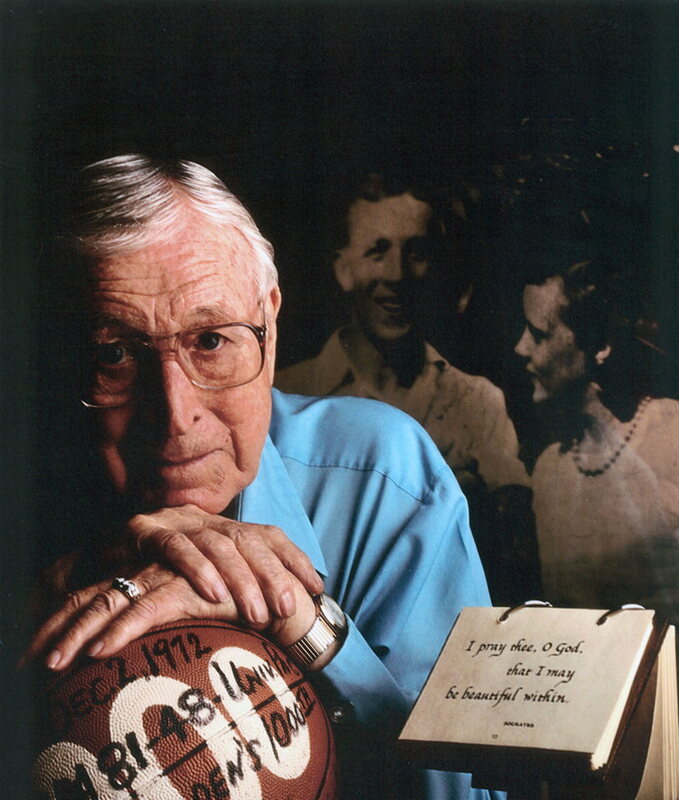 He will truly be missed and Basketball will take a big hit with out the Legendary John Wooden. God Bless and Rest In Peace! Celtic Pride He got Game… Is that Jesus Shuttlesworth?